Pixian High Brightness 24/7 LCD Monitor for use as a Digital Advertising Display. A complete solution with built-in media player. Just upload your media via USB stick. The ideal solution for digital signage in high ambient light areas. 3 years Collection, Repair & Return. SKU: PDS-70WIN-HB. Categories: Digital Advertising Displays, High Brightness ePoster. Tags: 24/7, Full HD, High Brightness, Landscape, Pixian, Portrait, Wall Mount, 1500 cd/m2, 70", LED Backlight. 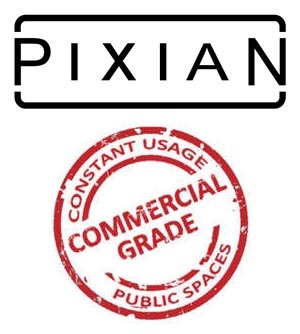 Introducing a new range of Pixian 24/7 High Brightness LCD Digital Advertising Displays. 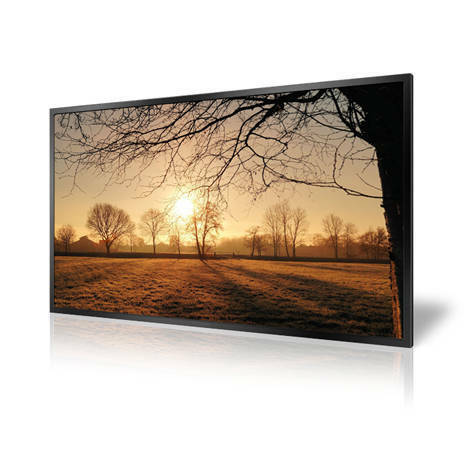 Brightness is paramount when using outward facing screens, these displays use commercial grade Ultra High Brightness panels (1500 cd/m2); more than 3 times brighter than a standard home TV to allow easy readability in direct sunlight. These HD resolution screens with a built-in media player require no additional hardware to get up and running. Simply load your media onto a USB stick, plug into the screen and watch your presentation play. The displays make use of commercial grade LCD panels with a lifespan of 50,000 hours and designed for continuous 24/7 operation. The advanced temperature control system with internal air-conditioning allows the screens to be in constant use in an outward facing window. Internal fans keep the panel and other internal components at the optimum working temperature; ensuring a long and reliable life for your screens.With wide viewing angles, vivid colours, high contrast as well as brightness levels. With an eco-friendly on/off timer and a low power consumption LED backlight you can be assured of the units green credentials and overall low operating costs. Included with each display is a simple and intuitive piece of software which allows you to schedule a variety of content to play at different times during the day. 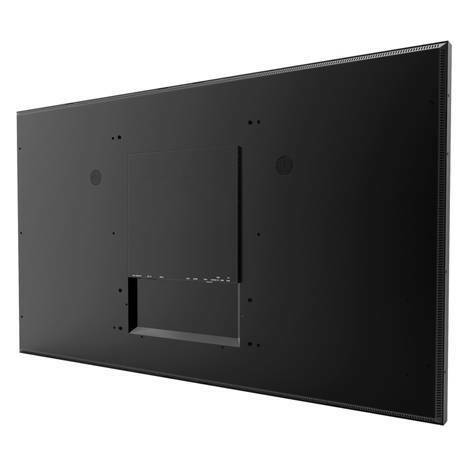 These daylight viewable screens also feature HDMI and VGA inputs, allowing you to connect an external video source such as a PC or media player. The screen comes complete with a flat wall bracket that allows for landscape orientation mounting. The display also comes complete with two integrated slimline speakers for applications that require audio elements. No additional hardware is required – just a USB stick with your content to upload. This simple display solution provides everything you need to get eye-catching High Brightness Digital Signage up and running quickly and easily. Sunlight Readable – High Bright LCD Screen. Portrait & Landscape orientation support. Images, Video and Music playback. Plug’n’Play media upload via USB stick. LCD screen supports wide viewing angles. Scheduling software for timed playlists. Eco-friendly – power on/off time. HD 1080p – 1920 x 1080 resolution LCD screen. HDMI & VGA external sources supported. LED backlight – bright, reliable and low power.